Ancient Antiphellos is another charming town with palm-shadedpromenades and its picturesque peninsula reaching out to a Greek Island on one side and hosting a new marina on the other. Lycian tombs intermingle with carpet shops, restaurants and lively bars. A Byzantine amphitheatre overlooks the sea and is only five minutes’ walk from the marina, providing a perfect sunset location. Ekincik, west of Gocek, is an ideal place to leave your yacht while visiting ancient Caunos. One should plan on spending a day there, to admire the scenery and the many ruins. There are baths, a small theatre, a temple and a market place, all of Roman origin. Like a calm lake, the Bay of Marmaris offers excellent moorings.Marmaris was an important stage on the Anatolia-Rhodes-Egypt trade route. The citadel built by Suleyman the Magnificent in the 16th century sits on the hill behind the harbour. From a small fishing village it has rapidly grown into a bustling holiday resort. The Gulf of Hisaronu is another area of breathtaking natural beauty. You will find medieval fortresses and ruins on the islets with trees going down to the water’s edge. Tiny coves and inlets, where only a few yachts can enter, are ideal for lunchtime stops and swimming. The pretty small towns of Bozburun, Selimiye and Datca, where you can pick up fresh supplies, and find restaurants, bars and craft shops, are well worth a visit. a mixture of deep blue seas and peaceful, often deserted bays. You can bathe in the hot mineral springs on Kara Island and explore the 4th century BC ruins on the Sehir Islands, where Cleopatra is believed to have lived and created the beach for her lover Anthony by shipping sand from Egypt. Knidos is famous for the 4th century BC statue of the first naked Aphrodite, goddess of love, reputed to bring good luck to sailors. Today only the pedestal ruins are left. Gocek; Gulf of Gocek; Fethiye; Oludeniz and Gemiler Island; Kalkan; Kas; Kekova and Kale Koy; Gocek to Marmaris; Mamaris; Hisaronu Gulf; Bodrum and the Gulf of Gokova. 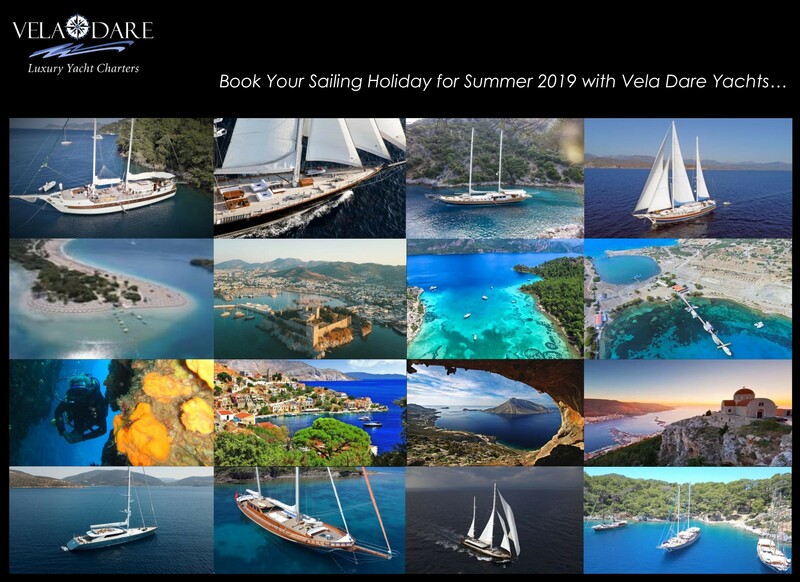 Gocek is an exclusive yachting centre which caters for theever-changing tastes of true boating enthusiasts. Within twenty-five minutes’ reach of Dalaman Airport and unspoilt by mass tourism it is an ideal place to start your holiday. One of the Mediterranean’s best sailing locations, the gulf of Gocek’s land and seascapes are irresistible. Dotted with islands and indented by coves, it has many anchorages with stunning scenery - Cleopatra’s Bay, Wall Bay and 22 Fathom Bay - to name just a few. The Gulf of Fethiye covers some sixty square miles and has more than two dozen anchorages. The famous lagoon and the white sand beach of Olüdeniz lie within a few miles of the picturesque anchorage of Gemiler Island, where Byzantine ruins lie tucked among pine trees. The charming little town of Kalkan sits at the end of a bay, which it overlooks. The small marina is surrounded by restaurants and bars, and its narrow streets are lined by old Turkish houses with rickety wooden balconies and bougainvillea-covered walls.